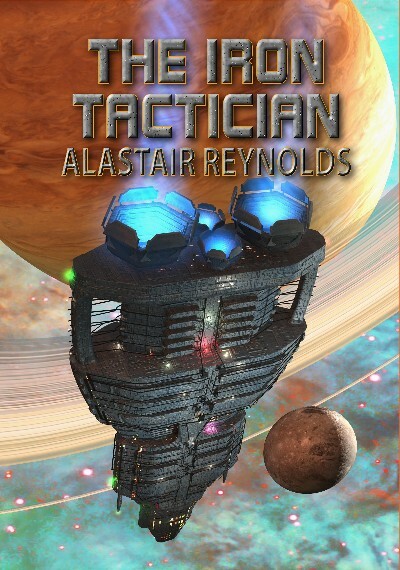 A brand new stand-alone deep space adventure from Alastair Reynolds, featuring the author’s long-running character Merlin, who has previously appeared in “Merlin’s Gun” (1999), “Hideaway” (2000) and “Minla’s Flowers” (2007). When Merlin encounters the derelict hulk of an old swallowship drifting in the middle of nowhere, he can't resist investigating. He soon finds himself involved in a situation that proves far more complex than he ever anticipated. The Iron Tactician is the first in a new series of NewCon Press novellas. The series will be issued in sets of four, with each set featuring cover art by the same artist - one piece of artwork divided between the four covers. Available as an A5 paperback and a signed limited edition hardback, each copy individually numbered, limited to 250 copies.